I recently signed up for yet another investing alternative platform called Fundaztic. They just only went live in July 2017 and needless to say I promptly signed up to test it out. Fundaztic is one the 6 companies granted license by Securities Commission of Malaysia to conduct peer-to-peer financing in the country. They aim to achieve funding goal of RM40 million in their first year of operation, and made their debut with 5 investment notes available for investors with total funding amount of RM530k. The company is founded by former executives in the banking industry and a lawyer with a combined 50 years of experience in finance, law and technology, with a startup capital of RM5 million. At first glance Fundaztic’s website has a minimalist look and one could be forgiven for thinking that they lack the appropriate robustness required for a company involved in finance. However the more I use the site, the more I find it pleasing and easy to navigate. Signup was a breeze too – just send the required documents and your account should be approved without a hitch. From my experience so far, Fundaztic’s investment opportunities are pretty decent. They differ from Funding Society from the way they present the available notes to invest in. Each investment opportunity is given a grade according to the risks involved. The higher the risk, the lower the grade, similar to how bonds are graded. Needless to say the higher grade investments were funded pretty quickly so I missed the boat, so to say. Fundaztic has an app now and this makes it so much easier to check all your investments and funded notes and participate in new note releases. This is definitely a positive development and puts it on par with Funding Societies. Rest assured, they do have many investing notes that they update regularly. Every Friday the company has what they call the Friday Funday when the investment notes would be put up for investors to take part in. The company has only funded less than RM1.37 million in loans since launching (compared to Funding Society’s whopping RM200 million). Yet I believe Fundaztic’s best days are yet to come. As of September 2017 the platform boasts around 1500 active investors with RM252k paid out in profits to members so far. That is a pretty impressive feat to achieve in 2 months. Needless to say, the money I put into Fundaztic has earned me quite a handsome return, and compared to the FD rates you get from banks, this is a no-brainer. The dashboard has a nifty tool that allows you to have a quick glance at your current portfolio. According to their calculation, my investment has generated returns in excess of 24% which is astounding. Do bear in mind though that all investments carry a risk but I am relieved to say that so far none of my investments were defaulted. 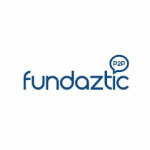 In conclusion, Fundaztic remains one of my favourite P2P platforms so far and would highly recommend anyone looking for alternative investments to start grabbing a slice of the SME funding pie. Click here to check out Fundaztic and start generating extra income!